The price of a stamp will go up 3 cents in January. The price of a stamp is about to go up -- and more so than expected. A panel overseeing the U.S. Postal Service approved a three-cent hike from the current price of 46 cents. It will take effect on January 26. That includes a one-cent increase -- to keep pace with inflation -- approved by the Postal Regulatory Commission last month. At the time, the cash-strapped Postal Service had sought the three-cent bump. 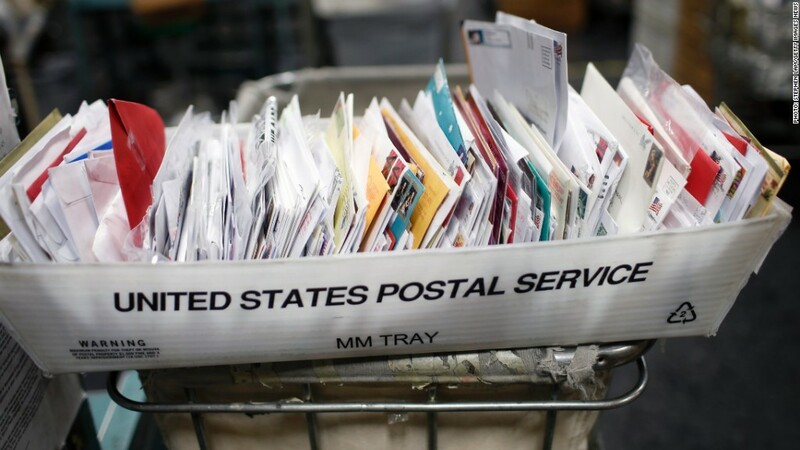 The additional two cents are intended to be temporary and to recoup losses the Postal Service suffered during the recession, the commission said. It said the Postal Service must regularly report how much money the increase brings in and "develop a plan to phase out the rates once they have produced the revenue justified by their request." But the agency is in deep trouble with the shift away from mail and to the Internet. It reported a $5 billion loss in the most recent fiscal year, and a $16 billion loss in 2012. Those losses include expensive contributions to retiree health care required by Congress. The Postal Service has considered paring back mail delivery and expanding the more profitable package delivery to bring in more revenue. Customers who purchase forever stamps before the new price takes effect will continue to pay 46 cents. --CNNMoney's Jen Liberto contributed to this report.